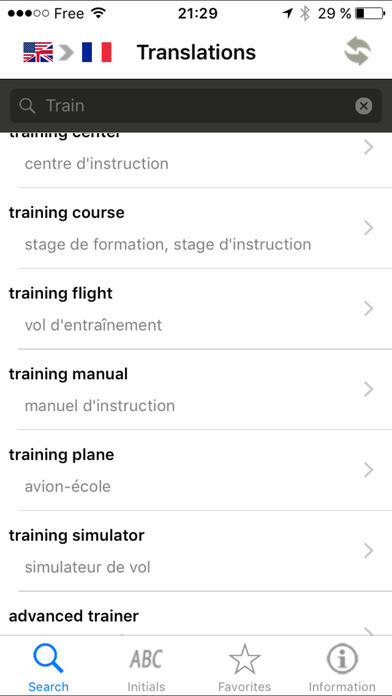 This application presents a compilation of over 32,000 technical terms related to aviation. It contains the most commonly used terminology in the many different fields and subfields of aeronautics. 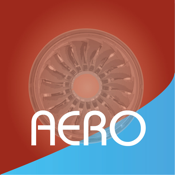 It includes the terms required in the vast areas of commercial, general and military aviation, helicopters, engines, airport ground equipments, flying, avionics, aircraft instruments, air navigation, air traffic control, flight operations, flight mechanics, aerodynamics, electronics, meteorology and all related fields. It is meant to meet the needs of technicians, engineers, designers, pilots, scientists, teachers, students and translators. 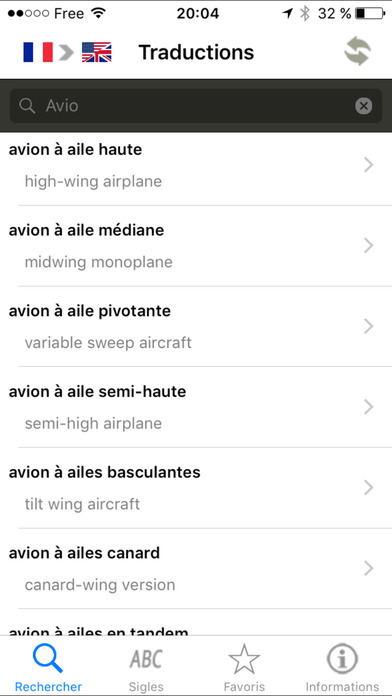 This bilingual aviation technical dictionary is the best international reference currently available on the market. The world over, it is an invaluable tool for those involved with aviation, aeronautical engineering and maintenance. The dictionary is available all the time without internet connection.